For those who haven’t had the pleasure of Razz poker yet this is a game that has become very popular in online casinos in the UK and is a fun and skilled take on the usual game as in this scenario the worst hand wins! However, as with other poker games once you get used to the rules and apply a little strategy the game starts to become very interesting and compelling and is played by between 2 to 8 people with a typical 52-card deck. As is usual in stud poker 3 cards are face down for the player to view and the other 4 cards are visible to the rest of the group, and the objective is to create the lowest hand possible from 5 of the 7 cards dealt to you, and as in ‘low’ variations of poker the Ace counts as number 1 in this game. Unlike other poker games any hand qualifies you to play and not just a specified minimum hand. Fixed Limit Poker: this means that the game is nearly always played with a ‘Fixed Limit’ betting structure which means that no one player can wager more or less than the games stakes. Antes and Dealer Button: The dealer button represents the ‘dealer’ prior to the start of each hand and marks the order of dealing with the first card dealt to the player at the left of the dealer button and moving to the next player at the end of each hand on a rotational basis. Hole and Door Cards: Each player is dealt 3 cards and the ones face-down are known as ‘hole cards’ and can only be seen by the player, whilst the third is dealt face-up – the ‘door card’ – and is visible to everyone. First Betting Round: this is known as ‘3rd Street’ and subsequent rounds are known as 4th Street (second round of betting) and then 5th, 6th and 7th Street with extra cards being dealt in each game. 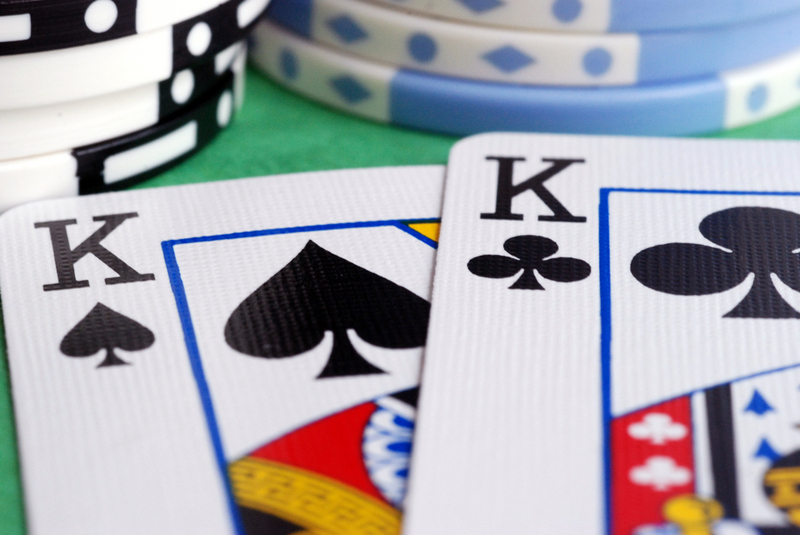 Often players will fold along the way and the winner receives the pot unless a showdown occurs. Very occasionally there won’t be enough cards to play ‘7th Street’ in which case the hand is dealt as just one, face-up card that is used by all players and constitutes their 7th card. Tip 1: Hone your skills to watch out for weaker opponents and force them to play heads up pots with you. It goes without saying that if you have less players to contend with in each game you have more chance of winning a hand. Tip 2: Don’t keep checking the fold button before your turn or you will miss chances to steal the blinds. Tip 3: Don’t call raises with poor hands or be tempted to get too attached to your bring in. Tip 4: When faced with aggressive players a good tip is to play a slow hand to put them off track and convince opponents that your hand is not as good as they anticipated. Hopefully, they will underestimate your hand and if you get to 4th and 5th Street it may just mean that you sweep up! Patience and observance are the bywords of this game, therefore watching the cards of your opponents is a key trick in keeping track of the up-cards that are on the table then you can get an idea of how good your hand is. Good Razz poker players know when it’s time to fold instead of playing weak hands and relying on luck to get by! As with other types of poker games know when you are beaten and make sure you fold so that you are not squandering your bankroll unnecessarily. Therefore, although Razz poker is playing by rules that may be the opposite of certain other games the same tricks, patience and observation will pay off and will ensure you get great enjoyment from this poker variation that is becoming a game more and more people want to play in online casinos! ← How You Can Become A VIP Member for Free on Your Favourite Poker Site!